So I bet you have seen multiple posts or articles about cleaning with vinegar. It is a disinfectant, an anti-bacterial, and an anti-fungal. Some articles say white vinegar is good enough some say you have to use unfiltered organic apple cider vinegar. You may have also read about our recent situation in which we had an invader in the form of the fungus called ringworm. Well, a quick summary, we got two one year old kitties who had ringworm. Thankfully this was suspected the first week they were here so their contamination of the house was kept to a bare minimum. But I still wanted to disinfect everything I could. Since animals were involved I wanted to use non-toxic products. I also employed the use of two other products. 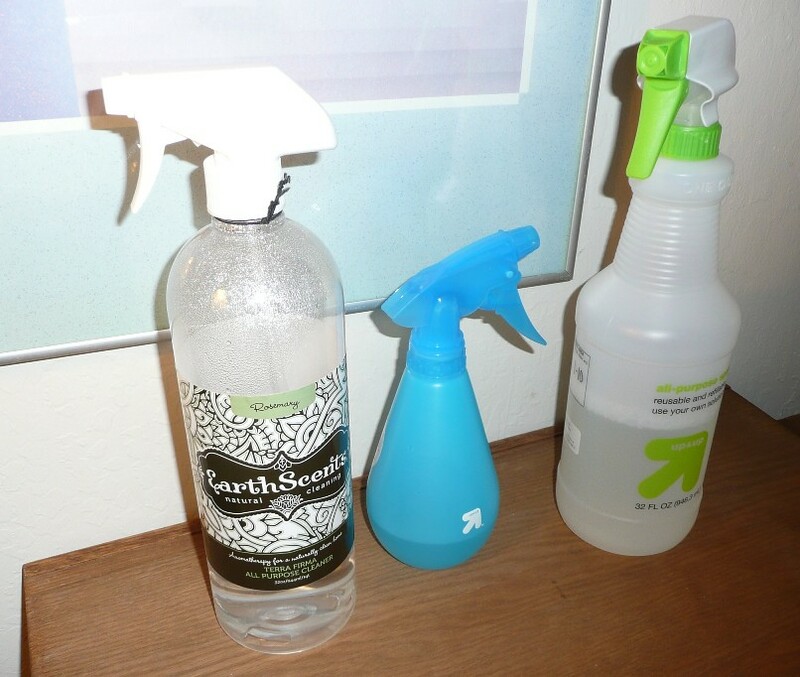 I am going to keep all three of these products in my arsenal of cleaning supplies. So as I said, I used vinegar on many, many, many things. I really don’t care for the smell, but it is safe for all types of surfaces and can be ingested by cats. The second product is simply diluted bleach. One part bleach for ten parts water. While bleach isn’t something ingestible, it does a great job of cleaning. I used it on every surface that could tolerate it. So not as many as the vinegar. I used the bleach more for things that were on my shelves so they were taken out of the room and the cats didn’t even have access to them. I also very much like the smell of bleach. It makes me feel as if things are clean. –Use Terra Firma anti-fungal, natural all purpose cleaner to clean all hard surfaces. No harsh chemicals or synthetic fragrances. –100% natural, earth friendly, bio-degradable, septic safe, and safe for people, pets, and the planet. –Ideal for those who are allergy prone, sensitive to chemical cleaners, or for those who are concerned about the variety and mixture of harsh chemicals used in their home and around their family. Its ingredients are: Purified water, tea tree oil, grapefruit seed extract, glycerin, and rosemary therapeutic essential oil. It smells great. I bought the Rosemary scent. I didn’t use it as much as the vinegar because it says it can’t be used on wood, so I used the vinegar. But this cleaner is GREAT on mirrors. I am considering purchasing it just to clean windows and mirrors. It is great. Oh and another mention that I discovered during our situation is Pure Citrus. We had two cats locked in one room for almost 40 days. During that period there were a couple of hot spells. So lets just say that it got kind of smelly in there, so I wanted an air freshener that I wouldn’t be afraid of landing on things and being sprayed around the cats. So I found this product on Amazon. I really like it. I purchased “Orange Air Freshener”. It smells like oranges. The ingredients listed say, “Pure Citrus contains 100% natural, delightfully fragrant oils found in fresh oranges.” Since I liked the product so much I took a chance and bought a different scent, the Lavender Air Freshener. WOW! I really like it! 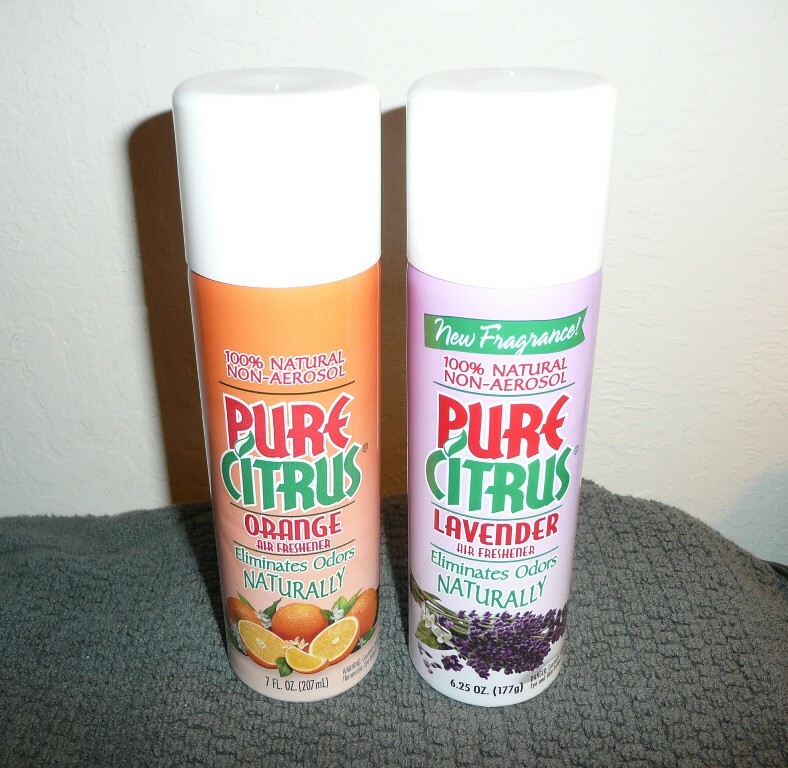 So, if you are ever in the market for an air freshener, I would recommend Pure Citrus, the Orange Air Freshener and the Lavender Air Freshener. I don’t know about any of the other scents. So, I believe that vinegar, the bleach dilute, and the Spray fresh helped me get our house fungus free. At least I feel like these products cleaned it up! And with the air freshener it smells really nice. What do you use to clean your house? What do you use to make it smell nice? This entry was posted on September 10, 2015 at 11:07 pm	and is filed under Helpful Hints, Misc. Tagged: anti-bacterial, anti-fungal, cleaning supplies, disinfectant, EarthScents, Lavender Air Freshener, natural cleaner, non-toxic, Orange Air Freshener, organic apple cider vinegar, Pure Citrus, rosemary, Terra Firma, vinegar. You can follow any responses to this entry through the RSS 2.0 feed. You can leave a response, or trackback from your own site. My mom has used the pure citrus for years and years and years in the room where her cockatiel lived. It’s awesome. I never knew they made a lavender version – will have to check it out! I started doing a white vinegar pre-wash when my workout clothes picked up some funk and haven’t had a problem since (even though I let them sit a whole week before I wash them since I want to get a decent size load together first). Oh, cool, nice to know that it has been around awhile. The lavender version could be new . . . well, new since your mom has been using it. It smells very nice. Clean, not over powering, but can overtake an odor! Ha. My workout clothes sit for a bit too. I mean, it would be nice to wash them right away, but I want a full load, too. And we have a huge washer so a full load is A LOT of clothes. I don’t know that I had thought about vinegar in the wash. But I know I have read those lists of all that you can do with it and I bet it was on there! I used it last night to see if it would deter ants and I think it worked! If I were an ant I wouldn’t want to walk through vinegar. Ewww!